Portable storage is always in demand, and WD’s My Passport range had a recent refresh to include up-to 3TBs in a 2.5-inch form factor. With USB 3.0 for native hard drive speed and a compelling software stack for automated backups, find out how WD’s latest update performs. Storage – we can never get enough of it. Just when you thought you were safe for a while, along comes a new movie format, a change in work-flow, the sudden desire for lossless compression, and a relative with a trigger-happy finger on a camera – sometimes all on the same day. While storage densities increase, so too does our desire to fill it up. When you want to share this data with someone, portable hard drives save the day. WD has upped its storage densities on its new range of high-end portable hard drives. Starting at 1TB and going up to 3TB, we have the middle-range 2TB under review. These new drives go by the ‘Ultra’ tag, but this means little anymore (originally it meant the pro version of the software plus an extra accessory), but it appears that’s just a name now. 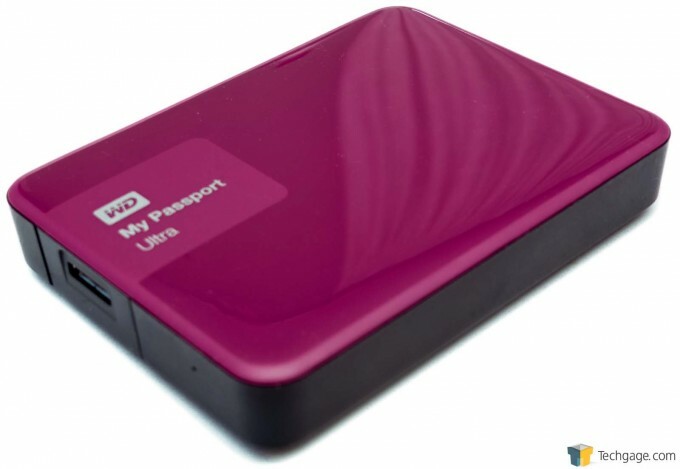 The last WD My Passport Ultra we reviewed was the 1TB version back in 2013. Although, we have reviewed the wireless model too, since. The 2.5-inch form factor for hard drives is a bit crowded, with little more than price and density being the deciding factor for most people when it comes to purchase decisions. Sporting a delightful range of colors and metal finishes, these new My Passport Ultra drives at least attempt some personalization rather than generic black or gray. The other major focus is the bundled software that comes with the drives, which we’ll focus on in a little bit. These external drives are notoriously tricky to take apart, so we can’t find the exact model of disk being used, nor can we find platter and density, which is unfortunate, but not a major focus for these drives. WD My Passport Ultra 2TB - The full bundle. A 2.5-inch drive, plus the micro-USB 3.0 cable. 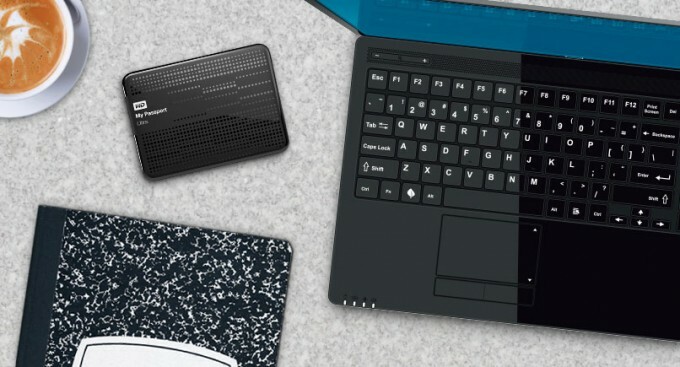 Since these are portable 2.5-inch drives, they are self-powered over the USB port, with a micro-USB 3.0 connector on the drive itself. Nothing fancy going on, as it’s just a hard drive in a simple plastic enclosure with a colored top. The hard drive comes pre-loaded with a bunch of software if you wish to make use of it, including backups and security-based encryption, which we’ll cover a little later on. First of all, we’ll throw our usual batter of tests at the drive to make sure it’s fully functional and making good use of the USB 3.0 port. When it comes to testing an external drive, performance tends to be a bit loose with regard to accuracy. In general, your system will have more of an impact on performance than the drive itself. HD Tune Pro requires the disk to be unformatted, so write speed could not be tested with encryption enabled. However, we did some testing with CrystalDiskMark on the encrypted drive. A fairly standard performance range. The 20ms latency is to be expected for a small portable drive, so not something you’d want to store lots of tiny files on – archive before transferring. An average whole-platter performance of around 80MB/s means you won’t notice any major slow downs as the disk gets full. With CrystalDiskMark, we see absolutely no difference in performance with encryption enabled, which is fantastic. The hardware enabled AES-256 process showing its stuff. The software includes a few utilities for Windows and Mac based PCs. It is worth pointing out now that these utilities are not compatible with Linux – with a critical point being the security encryption. If you use the tool to encrypt your hard drive, you will not be able to unlock the drive without running the tool, which is Windows/Mac only. The WD Drive Utilities is just a health check, as it performs a SMART analysis, surface check (chkdsk), and a quick integrity check. You can set the sleep timer and perform secure formatting too. It’s very basic and simple to use, but useful if you have nothing else to hand. The SmartWare is probably the most useful feature aspect, even if it is somewhat limited in its functionality. Its primary purpose is to perform automated backups of your local storage. In its default configuration, this copies over all your user documents, save games, pictures, shared movies, and such, from the typical Windows-based locations. Select the drive and press go, and it will transfer all that data over to the portable hard drive. 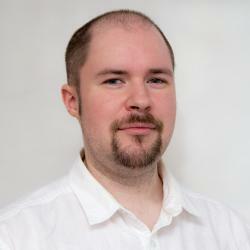 It defaults to five versions, or file states, meaning that you can restore up to five versions ago, regardless of date. This is useful in the event of data corruption or an unwanted file overwrite. It can be switched to an ‘Advanced Mode’ where you can select other directories and files to backup automatically, so you are not restricted to just My Documents. The only thing SmartWare can’t do is perform volume backups. While it can be set to copy all the data over from a disk, it won’t restore partitions or boot sectors – for that, you will need to purchase a proper backup utility such as Acronis True Image. WD My Passport Ultra - Drive Utility Software for Disk Integrity, Secure Erase and SMART diagnostics. Drive encryption with WD Security. SmartWare drive backup main interface. Start the backup process to automatically save files from key Windows locations. Advanced view allows you to backup individual files and folders from multiple drives. Security is what enables password protection on the drive. As mentioned above, this is for Windows and Macs only. The utility is again, very simple to use. Start it up, enter a password, re-enter password, put a reminder in, and set. As simple as that. You can set it to automatically login when the system boots up on the computer you are using, in which case you can set and forget for the most part. Otherwise, every time you start up your PC, you will need to enter your password to access the drive. What if you plug it into a PC which does not have the WD Security utility installed? When in a locked state, the hard drive will virtualize a CD, which has the WD Unlocker utility on it. If the system supports Autorun, then this utility will start as soon as you plug the drive into the computer. The catch is that it requires admin privileges, so if you are on a normal user account, you will need the system password to run the utility. There is not much the can be done to get around this limitation, apart from using a different security utility. In terms of performance, the drive is not affected at all (I saw no difference in CrystalDiskMark). Due to hardware enabled encryption on the drive, there is no system overhead either, so the drive will perform exactly the same if it’s encrypted or not, which is a nice bonus. Simplicity is the name when it comes to storage, as it should be. The software is easy to use, if a little thin on available actions, but the full drive encryption is major bonus, even if it’s limited to Macs and PCs. Drive performance is improved somewhat due to the higher density platters, but we’re only talking a few MB/s at most. The wide range of colors means it won’t get easily lost among the hundreds of black and grey offerings. The WD My Passport Ultra drives can be found in a range of prices, sometimes the 2TB version can be had for $89. The 3TB version will cost a fair bit more at $149 at Amazon and Newegg. Prices are pretty much the same across retailers, so pick whichever you feel comfortable with. Overall, good drives, functional software, and the native performance of the encryption is fantastic.